Self-pity is one of the most reviled emotions in Western culture. I've written before about how sad I find this, I even wrote a story with self-pity as the theme, and I'm going to write about it again, because I think it's something that bears repeating. To have pity for yourself, to grieve for your sorrows, is a good thing. You deserve such care. To embrace your vulnerability is a good thing. You are entitled to it. To allow yourself to wish for more, nicer, easier, gentler, is a good thing. You are worth it. I've never understood why it is laudable to pity others but not ourselves. Nor why grief is only allowed to go so far. Self-pity is a kind of grief. It tells us what we are missing in our lives, what is unfulfilled, what is lost. It is our sad and wishful voice. We need to honour it just the same as we do our determination, anger, instincts - all the other feelings that are somehow considered more acceptable, even though they are often just different ways of expressing the same thing: I wish for better. Of course, we are trained from a young age to not believe we deserve better. Instead we are told to be resilient, grateful, cheerful, and not self-interested. So we spend our entire lives judging, repressing, silencing, and discounting, ourselves. We are made ashamed of feeling sad when our lives are hard - even if our lives are sometimes almost unbearably hard. If someone else had our lives, we could feel sad for them, we could pity them, but we must not feel that way about ourselves. Do you ever find yourself sorrowing at the grave of certain hopes and dreams, but you can't have a good cry, a temporary collapse, a period of wearing the blackest black and accepting no invitations, because self-pity is unacceptable? For example, you may "wallow in self-pity" because you did not get the job you dreamed of for years. Or you may "wallow in self-pity" because a friend you loves leaves you. In both cases society says it's okay feel sad for a while and eat ice cream, but then you must get over it, pick yourself up, and soldier on - never mind that what's actually happened is a deep loss. And yet if you were expected by society to treat yourself with compassion and comfort, and to think of how you might care for your grief, soften it, find a way through, then perhaps you would emerge from the process of self-pity with a soul radiance, rather just another scar that makes you thicker-skinned but always slightly disfigured. Or you might save yourself from getting stuck in grief so that it congeals into despair. Feeling sorry for yourself is a way of loving yourself. If you don't listen to the pain, how will you learn to trust it? And if you don't trust the pain, how will you ever truly heal? 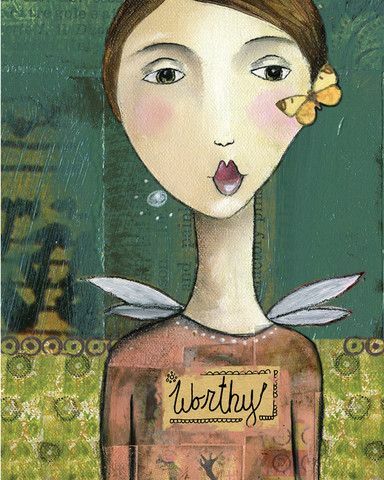 For me, the word pity means loving compassion ... thank you for this Sarah, it's lovely. I am a world away and here society is very me, me, me. That creates its own problems. It's important to go our own way. I have a friend whose mom skipped grieving. It caused her a lot of stress and then physical symptoms. It's an important thing to do and not rush it. As the great man (Kirk) said, "How we deal with death is at least as important as how we deal with life." This is something I've been looking at in myself. It's very hard for me to admit that I still need healing and help, but that's the truth of it. I see now that it's important to acknowledge the pain we're going through, and how hard it actually is. I've belittle the struggles I've gone through, because I wanted to be strong, but in the end I bottled things up and was left feeling hurt and angry, and alone. Society gives us only so much time to grieve.